The 31st Legislature is all but guaranteed to hold the ignoble record of the most days the House has gone without electing a permanent speaker after today’s floor session was canceled. The move nixes what was already an outside chance that a majority could be formed today and tie the 22-day record set by the star-crossed 1981 House majority (star-crossed because it was also the majority hit with a Midsummer mutiny). The House is set to return to session on Wednesday, Day 23 of the session, but it’s unlikely that members will formed a majority by then. Negotiations are underway to form some sort of power-sharing agreement between the 20-partyline Republicans, the 19 members of the Democrat-led House Coalition and the bipartisan-minded Republican Rep. Gary Knopp. The general belief is that a final decision on a majority will have to wait until Feb. 13, the final day that Gov. Michael J. Dunleavy can submit his budget. 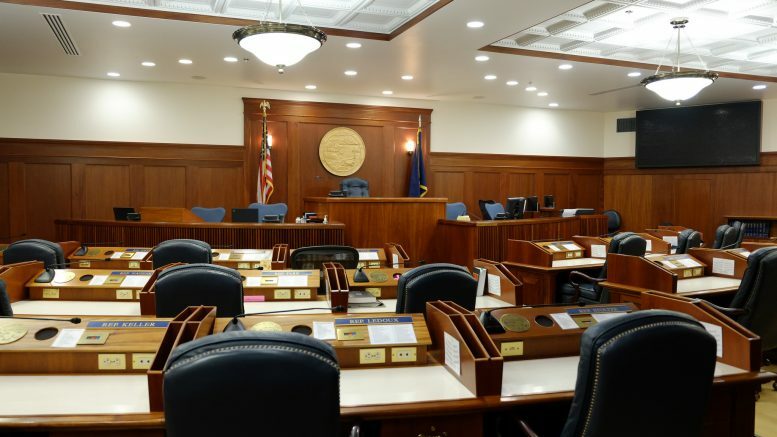 The details and scope of the $1.6 billion in cuts and spending reductions planned by the administration are starting to trickle out, but are still largely unknown by the Legislature and public as a whole. And while some Republicans will certainly be on board with the governor’s proposals, there’s already been pushback from many Republicans against such deep cuts. Far-right Rep. David Eastman pushed for a speaker vote on Monday, pushing for the Republicans’ pick of Rep. Dave Talerico as speaker. The vote failed on a 20-20 line, the same as when the chamber voted on Day 8 for a speaker as required by the Legislature’s uniform rules. The move was labelled a “stunt” by Rep. Geran Tarr, who said it undercut the good faith negotiations that were underway. Knopp said he had planned to present a deal to Republicans after Monday’s floor session, but said the group canceled the meeting. Be the first to comment on "House will set record for longest impasse after today’s floor session was canceled"